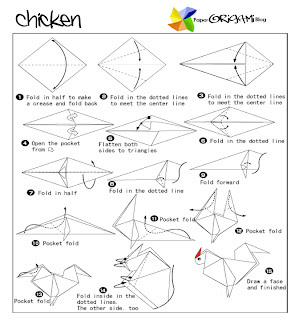 Animals Origami: Chicken The chicken (Gallus gallus domesticus) is a domesticated fowl, a subspecies of the Red Junglefowl. 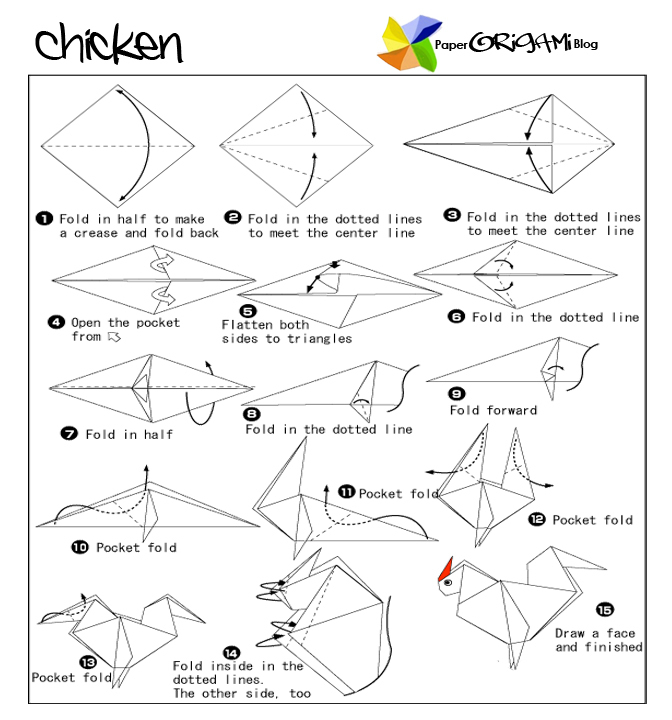 As one of the most common and widespread domestic animals, and with a population of more than 24 billion in 2003, there are more chickens in the world than any other species of bird. Humans keep chickens primarily as a source of food, consuming both their meat and their eggs.